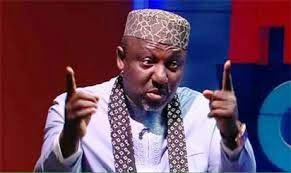 A group operating under the auspices of “Imo Intelligentsia Watchdog” has accused Governor Rochas Okorocha of underground plot to eliminate some individuals in the state. The group made this allegation during a briefing with some selected Journalists in Owerri. Speaking, the Coordinator, Mazi Izunwanne Aductus on behalf of the group alleged that Governor Okorocha had paid heavily to some political assassins to silence former Commissioner for Works, Ichie Uche Best Mbanaso, former SSA ICT, Mr. IK Ogbonna, Publishers of Trumpeta Newspapers, Mr. Henry Ekpe, Kelechi Mejuobi and Gerry Ogu respectively. According to the group, while Governor Okorocha's game plans to perpetrate the act was to send assassins in police uniform to arrest the above mentioned individuals, the former Commissioner for Works, Ichie Mbanaso will be besieged by contractors being owed in the State as if he defrauded them of their money during his time as Works Commissioner. Mazi Izunwanne while hinting further pointed out that the sudden action was predicaded by alleged image assassination of his government by those listed, either on newspapers or on social media against his resolve to foist his son-in-law, Uche Nwosu on Imo people. The group therefore warned the general public especially, members of the Coalition and those with Governorship interest to be weary of unbranded Hilux Vans to avoid being kidnapped, adding that until the present government withdraws from killing and maiming innocent citizens, the furtunes of the state would continue to dwindle. It could be recalled that while publishers of Trumpeta Newspapers and Mr. IK Ogbonna had recently alleged serious threat to their lives, Ichie Mbanaso was cracked down and detailed for over three weeks by agents of Imo State Police Command suspected to have been led by the Commissioner, CP Dasuki following alleged directives by Governor Okorocha to track him down. A little investigation by our correspondence into what led to arrest of Ichie Mbanaso revealed that he was accused to have defrauded some contractors, and supplies of equipment to state government on credit when he served as Works Commissioner, but all efforts he made to draw the attention of the state government to the outstanding debt been owed to the contractors was ignored by Governor Okorocha. Following government's refusal to pay all the debt, our source gathered that Governor Okorocha was said to have directed the contractors to demand payment from the former Commissioner which led to his sudden arrest and detention. When he was called, the former Commissioner denied owing contractors personally, saying that all decisions taken as Works Commissioner was on behalf of the state Government, advising Governor Okorocha to pay contractors he is owing, and pleaded with him to leave him alone. Can You Believe Buhari And Shettima Have Kept The #Bama12 Innocent Youth In Detention For Asking To Return Home?